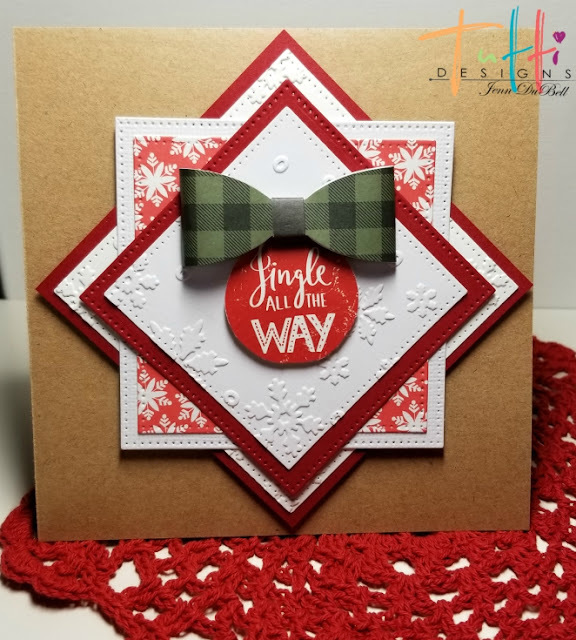 Tutti Designs: Christmas Cheer with Squares! Hello Everyone and Happy Holidays!! 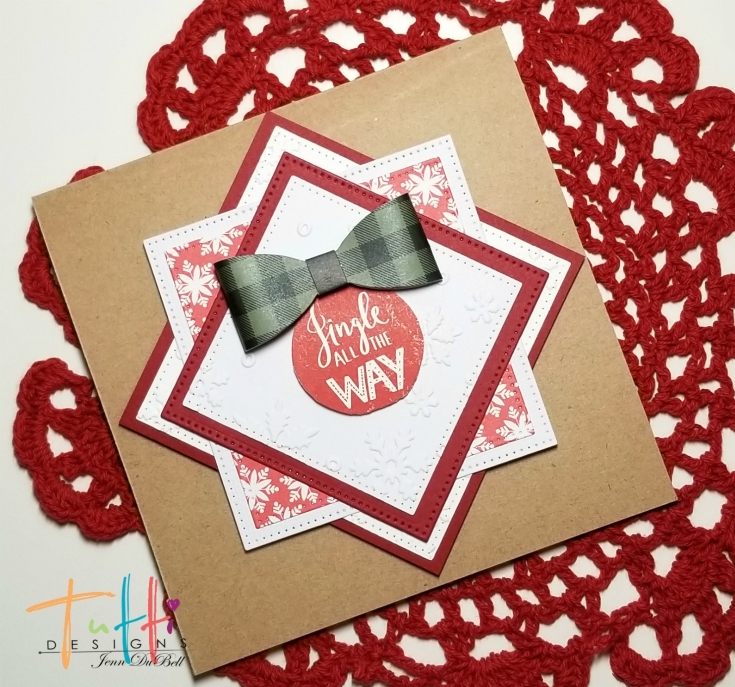 Jenn here today sharing a simple yet elegant Christmas Card created with the amazing Tutti Designs Dies! For this card I really wanted to showcase the elegance of the basic square shaped dies in an ornamental way. 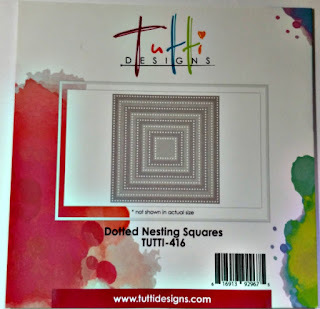 I used the 3 largest of the Dotted Nesting Square Dies. Use the largest dotted nesting square to cut the red layer and the second largest to cut the white layer. Add a stamped sentiment in green for a pop of color and a little cut out (gingerbread man). I like to coat inner sentiments with clear embossing powder and heat set for extra shine and to ensure no smudging happens when card is closed. Finally cut one from the third largest dotted nesting square from white. Emboss a pattern onto the large white and small white die cuts. Layer as shown below and then attach to the card front using foam adhesive squares. Add a cutout sentiment and a fun green bow for a pop of color! Cute idea, might be snagging this one...awesome job!